Description: Scholarship is open to current college juniors, seniors, and graduate students attending a BEA Member institution. Applicant must be studying radio, television, or other electronic media. Description: Scholarship is open to undergraduate students majoring in any field of study who will be participating in a study-abroad program in Japan. Applicant must be a U.S. citizen. Description: Scholarship is open to current and future college students, worldwide, who are at least 15 years of age or older. Applicant must submit an essay sharing about themselves and where they see themselves in the next 10 years. Description: Scholarship is open to graduating high school seniors and college freshmen, sophomores, and juniors who are between the ages of 16 and 22 years of age. Applicant must share a photo that shows how they’ve made (or plan to make) their college experience feel like a home away from home. Description: Scholarship is open to students with an unmet financial need attending colleges and universities throughout the United States. Applicant must be from the NYC area (one of the five Burroughs only), be a U.S. Citizen or Permanent Resident, and have at least a 2.5 GPA. Description: Scholarship is open to legal residents of the 50 United States and the District of Columbia who are between the ages of 18 and 25 and who are students in good standing currently enrolled in an undergraduate degree program at an accredited college or university within the United States. Applicant must submit a 90 second video demonstrating one technology used in NASCAR, an issue it resolved, and how STEM professionals came to its design. Description: Scholarship is open to current and aspiring schedulers and dispatchers. Description: Scholarships are open to Nursing students at all levels. Multiple scholarships available with specific requirements. See website for details. Description: Scholarship is open to current undergraduate students who are receiving the Federal Pell Grant. Applicant must be applying to or has been accepted into a study abroad program or internship eligible for credit by the student’s academic institution. Description: Scholarship is open to undergraduate health education majors who attend an accredited college/university in the United States or a U.S. territory. Description: Scholarship is open to legal residents of the United States between the ages of 16 and 19, who are current students at any accredited educational institution or program of higher learning. High school students and homeschooled students who plan to enroll in college upon graduation are also encouraged to apply. Applicant must submit an essay on how a show inspired their dreams. Description: Scholarship is open to permanent legal U.S. residents physically residing in the 50 United States and the District of Columbia who are at least 16 years old and currently enrolled in an accredited college or university in the United States. Applicant must answer a short question, give course advice, upload eight study documents, and share on social media. Description: Scholarship is open to U.S. Citizens who are enrolled full-time with an accredited college or university with at least a 3.0 GPA. Applicant must submit an essay sharing their personal aspirations through their education. Description: Scholarship is open to current college students between the ages of 16 and 20 who will be enrolled in post-secondary education in the upcoming semester. Applicant must create a photo inspired by any aspect of the automotive industry. Description: Scholarship is open to current graduating high school seniors with acceptance to an accredited school or an undergraduate student at an accredited institution within the United States. Applicant must submit an essay on why they are a good candidate for the scholarship. Applicant must have at least a 2.5 GPA. Sponsor: Polson & Polson, P.C. Description: Scholarship is open to students currently enrolled in any accredited community or junior college, undergraduate or graduate degree program in the United States. Applicant must submit an essay on how they have overcome a hardship. Description: Contest is open to students in grades 1-12, including home-schooled students. Student must submit a piece of art on a given topic related to North American game birds or animals that may be legally hunted or trapped. Description: Scholarship is open to high school seniors applying to college or current college students with a minimum GPA of 3.3. Applicant must have an interest in environmentalism or sustainability. Description: Contest is open to residents of the 50 United States and Canada. There is no restriction to enter the contest. Applicant must submit a dance video. Description: Scholarship is open to legal U.S. residents who are 18 years or older who are attending or will be attending an accredited college or university. Applicant must submit an essay on what makes their school awesome. Description: Scholarship is open to students currently enrolled in, or have been accepted to, an institution of higher education specializing in the study of photography. Sponsor: Cohen & Cohen, P.C. Description: Scholarship is open to current students at an accredited undergraduate college or university with at least a 2.8 GPA. Applicant must submit an essay on a given topic related to mental illness. Description: Scholarships are open to high school seniors through college juniors who are Eagle Scouts. Description: Competition is open to anyone aged 17 or over at the time of entering. International entries are welcome. Applicant must submit a previously unpublished single poem. Description: Scholarships is open to undergraduate and graduate students in the United States. Applicant must submit an essay on a topic related to tobacco. Description: Scholarship is open to students who will be enrolling as a freshman for the first time in the Spring 2018 semester. Applicant must submit a personal essay on one of five given prompts. Description: Scholarship is open to high school seniors and current undergraduate students in the United States with at least a 3.0 GPA. Applicant must submit an essay on a given topic related to insurance. Description: Scholarship is open to female students have have completed at least 60 credits who are studying Marketing or Advertising. Description: Scholarship is open to female students currently enrolled as an undergraduate student at a university for the 2017-2018 and planning to be enrolled full-time as an undergraduate student during the 2018-2019 academic year. Applicant must be majoring in computer science, computer engineering, or a closely related technical field. Description: Scholarship is open to women who are the primary financial support for themselves and their dependents. Applicant must be enrolled in or has been accepted to a vocational/skills training program or an undergraduate degree program. Description: Scholarship is open to junior, senior and graduate students who have declared an elementary education major. Description: Scholarship is open to current undergraduate students enrolled at an accredited university within the U.S. with at least a 3.0 GPA. Applicant must be in the process of applying to, or accepted to, a study abroad program that is eligible for credit from the student’s home institution. Description: Scholarship is open to students attending an accredited college or university who have a minimum GPA of 3.0. Applicant must be a single parent. Applicant must create a video that shows how software and technology will affect their field of study in the years to come. Description: Scholarship is open to legal residents of the 50 United States and the District of Columbia who are at least 18 years of age and are currently enrolled in a not-for-profit accredited college or university. Applicant must be enrolled in CashCourse (Free) and submit an essay on their earliest money memory. 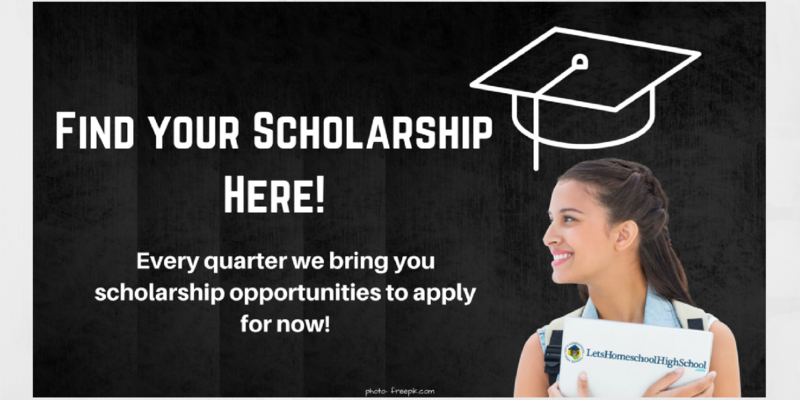 Description: Scholarship is open to high school seniors with at least a 3.0 GPA who are children or grandchildren of current state affiliate and ASA members. Applicant must plan to declare agriculture (or a discipline in the school of Agriculture) as an area of study at an accredited college or university of their choosing. Description: Scholarship is open to college students currently enrolled in an aviation program who are high academic achievers with a “B” average or better. Residents of Kansas, Missouri, and Illinois will be given preference. Description: Scholarship is open to law students who have entered into a JD program at an ABA-accredited law school in the United States who will continue in the program through at least Fall semester 2018. Description: Scholarship is open to high achieving high school graduates and undergraduate Navajo students. Students seeking an Associates of Applied Science (AAS) or Certificate are ineligible. Description: Scholarship is open to undergraduate and postgraduate students with an interest in entrepreneurship and currently studying marketing, business, IT, communications, advertising or economics. Applicant must submit an essay on how the scholarship can help them and why they deserve the scholarship. Description: Competition is open to high school seniors who are citizens of the United States. Applicant must submit completed application and materials to the closest Elks Lodge. Applicants will be judged on scholarship, leadership, and financial need. Description: Scholarship is open to current college students who are U.S. citizens and have at least a 3.0 GPA. Applicant must submit an essay or video on a given topic related to car seats. Description: Scholarship is open to current, full-time students of an accredited two-year or four-year American university or college, as well as graduate students. Applicant must submit an essay, video, or image on one of two given topics related to community. Description: Scholarship is open to graduating high school seniors from schools in Colorado, New Mexico, Utah, or Wyoming. Applicant must be a citizen or permanent resident of the United States and demonstrate financial need. Applicant must demonstrate exceptional character, leadership, and a commitment to serving their communities. Description: Scholarship is open graduating high school seniors and college freshmen, sophomores, and juniors who are pet lovers. Applicant must submit an essay on their life with their dog. Description: Scholarship is open to college students, including international students, who will be enrolled during the Winter/Spring 2018 semester. Applicant must submit an essay on a given topic related to concrete. Description: Scholarship is open to current college students worldwide who are studying marketing or technology. Applicant must submit an essay on a given topic related to marketing. Description: Scholarship is open to U.S. citizens and permanent residents with a minimum GPA of 3.0 enrolled in or planning to enroll in an accredited college or university in Fall 2017. Applicant must submit a short written piece on laser tattoo removal. Description: Scholarship is open to any citizen and resident of the United States, District of Columbia and its territories and possessions who are current undergraduate students. Applicant must submit an essay about their favorite small business and why they love it. Description: Scholarship is open to currently enrolled undergraduate and graduate students who earned no more than $35,000 in the year 2016. Applicant must submit an essay or video on one of three given personal topics. Description: Scholarship is open to all undergraduate, graduate, and law school students, as well as incoming college freshmen at an accredited U.S. educational institution with at least a 3.0 GPA. Applicant must submit a personal essay. Description: Contest is open to individuals worldwide who are at least 18 years of age. A contestant can submit photos in the categories of Natural World, Travel, People, The American Experience, Altered Images, or Mobile. Description: Scholarship is open to students enrolled full-time in a bachelor’s or master’s program in a related discipline such as business, statistics, hospitality or spa management, and pursuing a hospitality management, leadership hospitality entrepreneurial-related career. Description: Scholarship is open to first-year law students in the 2017/2018 academic year who are interested in becoming a criminal justice attorney. Description: Scholarship is open to students who are 18 years or older and a full-time undergraduate or graduate student with at least a 2.5 GPA. Must submit an essay on one of four topics related to drug abuse. Description: Scholarship is open to U.S. undergraduate freshman who have at least a 3.0 GPA. Applicant must submit an essay on a given topic related to family own businesses. Description: Scholarships are open to women who are currently enrolled in an aviation or aerospace related degree program. Description: Scholarship is open to current undergraduate and graduate students in the U.S. Applicant must submit an essay on success. Description: Contest is open to persons over the age of 18 as of December 2017. Applicant must submit an essay on a given topic related to temperance. Description: Scholarship is open to students studying at or can show proof they are enrolled with an accredited school program who are between the ages of 5 and 100 years of age. International students are welcome to apply. Applicant must submit an essay on how product design impacts the world in a positive way. Description: Scholarship is open to undergraduate students with dyslexia and/or auditory processing disorder who will be attending college/university in the U.S./Canada in the Spring of 2018. Description: Scholars program is open to high school seniors planning to pursue science, technology, engineering or math (STEM) at a four-year college or university on a full-time basis. Applicant must also have at least a 3.0 GPA and live in the Southern California Edison service territory. Description: Scholarship is open to current undergraduate and graduate students enrolled full-time. Applicant must submit an essay on a given topic related to social media. Description: Scholarship is open to a deserving female athletes who are high school sophomores, juniors, or seniors. Description: Scholarship is open to incoming and current college students who are/will be enrolled in a nursing program and will be enrolled through the following academic year. Description: Scholarship is open to students either applying for a physical therapy or occupational therapy academic program for enrollment the following year or currently enrolled in this type of program and will remain enrolled through the following academic year. Description: Scholarship is open to graduating high school seniors and current college students in the state of Wisconsin who are in a baking/pastry arts-related field that prepares candidates for a retail baking profession. Description: Scholarship is open to current college students between the ages of 21 and 26. Applicant must have certification as a Rescue Diver or equivalent with a minimum of 25 dives logged in the past two years. Description: Scholarship is open to students pursing an undergraduate or graduate degree in Science, Technology, Engineering, or Math (STEM). Applicant must be a citizen of the United States, Australia, Canada, New Zealand, or United Kingdom at time of application and must be willing to accept post-graduate employment with the DoD. Description: Scholarship is open to homeschool students beginning college in 2018 who have purchased and used five full Sonlight Curriculum History/Bible/Literature programs. Sponsor: Staver Law Group P.C. Description: Scholarship is open to incoming and current college students with at least a 3.0 GPA and are U.S. citizens or permanent residents. Applicant must submit an essay on a given topic related to personal injury lawyers. Description: Scholarship is open to incoming and current college students who have had a driver’s license for at least one year. Applicant must have a minimum 2.8 GPA and have no tickets or incidents on their traffic record for the past three years. Applicant must submit an essay on a given topic related to distracted drivers. Description: Scholarship is open to graduating high school seniors and college freshmen, sophomores, and juniors who are between the ages of 16 and 22 years of age. Applicant must submit an essay on a business idea and how they plan to make it a reality. Description: Scholarship is open to college-bound high school seniors intending to major in accounting. Applicant must be a U.S. citizen or lawfully admitted for permanent residence, and a New Jersey resident attending a New Jersey public, parochial or home school high school. Description: Scholarship is open to students worldwide enrolled or accepted for enrollment in undergraduate or graduate studies with a declared major in a science related field. Applicant must submit a 140 character statement/tweet on why they deserve the scholarship and a personal statement on how they plan to use their degree to further advance science in the field of their interest. Description: Scholarship is open to legal U.S. residents who are either a current law student at an accredited U.S. law school or an undergraduate student in their senior year who has applied or will apply to law school. Description: Seat belts save lives – everyone knows that. But warnings from parents and scare tactics from ad campaigns don’t make teenage drivers and passengers more likely to wear a seat belt. Student can win an easy scholarship just by printing and posting flyers. For every poster you share in your community, you’ll keep people safer on the road AND earn another chance at the scholarship. Unlimited entries. Description: Scholarship is open to current undergraduate and graduate students attending an accredited U.S university or college. Applicant must submit an essay on a given topic related to technology and dentistry. Description: Scholarship is open to high school seniors and college freshmen, sophomores, and juniors who will or have graduated from a public, independent or homeschool association high school in 40 Middle Tennessee counties. Applicant must be pursuing a business or STEM approved degree at a four-year, non-profit college or university in the fall of 2018. Description: Scholarship is open to students currently enrolled or planning to enroll in an accredited United States college or university by Spring 2018. Applicant must submit an essay on what implementations they would encourage hospitals to make to create a safer environment for employees and patients. Description: Scholarship is open to students enrolled in a graduate nursing program at an AACN member school of nursing who are SNSA members and have at least a 3.5 GPA. Description: Scholarship is open to current college students who are U.S. citizens or permanent legal residents of the United States. Applicant must submit an essay on one of two given topics related to car insurance. Description: Scholarship is open to students between the ages of 16 and 22 by the deadline who have at least a 2.5 GPA and have contributed at least 50 hours of volunteer (non-paid) service within his/her community over the last 12 months. Description: Scholarship is open to students who are United States citizens or legal aliens who attend a public, parochial, or private high school (including accredited home schools). Applicant must submit an essay related to the American Revolution, the Declaration of Independence, or the framing of the United States Constitution. Student should contact their state SAR chapter for specific deadline. Description: Scholarship is open to full-time college students who are at least 21 years of age and legal residents of the United States. Applicant must submit an essay on their ideas that can produce a truly smoke-free world. Description: Scholarship is open to graduating high school seniors and current undergraduate and graduate students who are non-U.S. students, but studying at a college or university in the United States. Description: Scholarship is open to students enrolled in a post-secondary institution who are pursuing a career in Business Marketing, Communications, Liberal Arts, or Social Sciences. Preference will be given to those students who have not started their first semester or are in their first or second year. Description: Every year we award a $1,500 scholarship to the student who best demonstrates exceptional volunteer involvement in their community. Description: Any current, full-time, part-time student of an accredited institute, truck driving school or other logistics program, must have a minimum cumulative GPA of 3.0 to become eligible. There is no requirement of minimum age. To apply for this scholarship, applicants must write an essay/article (of at least 1000 words and may NOT be posted elsewhere on the internet) about a topic related to this site. Description: Each year, we will be rewarding one university student who will be able to promote awareness on issues of home security and safety through writing. The chosen student will receive $1,000. Description: All full and part-time students currently enrolled in an accredited college or university with a minimum cumulative GPA of 3.0 or higher is eligible to win the scholarship money. There is absolutely no age requirement. all applicants must write and turn in essay relating to the information found on the Katy Property website.